Posted by Teresa Mihelic HelpDesk on Friday, July 13th, 2012 at 10:30am. Are you ready for more summer fun in Dana Point? The city, who's list of events throughout the year seems almost endless, has another event coming up: The Doheny Surf Festival. The surf event will be held at Doheny Beach in Dana Point, this upcoming August 11 and 12th, and it draws anyone who has any interest in surfing around the world. The weekend event raises money that is used towards the preservation of California's State Parks and beaches, like Doheny Beach and is produced by the Doheny State Beach Interpretive Association (DSBIA) and the San Onofre Foundation (SOF). The festival will have booths and art exhibits, surf demonstrations and surfer autograph signings. Music will be provided Fishbone, Paula Fuga, Common Sense, Honk, The Originalities, ALO, The Eliminators, Everlast, and many more spanning both days. Examples of what the booths showcast are: new wave-riding products, unique gift items, beach fashion wear, unique surf items. There's also Over a dozen of the most well-restored mint-condition classic surf woodies will be on display with all the new Subaru sports models complete with racks and custom accessories, and many activities for kids and the entire family. Tickets are already on sale. Camping is also available 120 overnight campsites. A two day pass costs $49.00 and includes entry and re-entry to the festival, and all events. 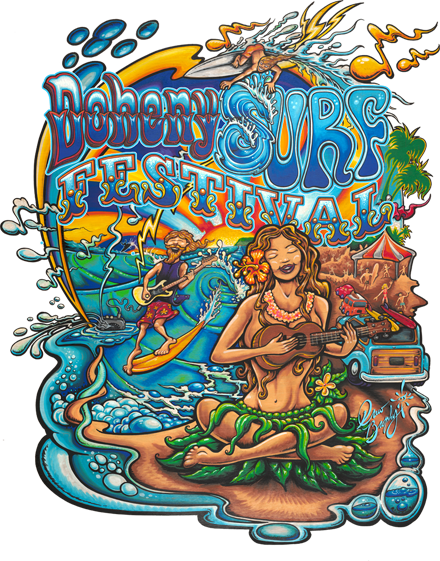 Single day admission is available, and for more information on this wonderful event, please visit their website at dohenysurffest.com. Are you ready to look at homes in Dana Point? If so, gives us a call. We are happy to help you find your dream home in this wonderful city.